Up and coming Emcee Reggie Vashaun reppin' Waukegan,IL is back to show the industry what time it is. 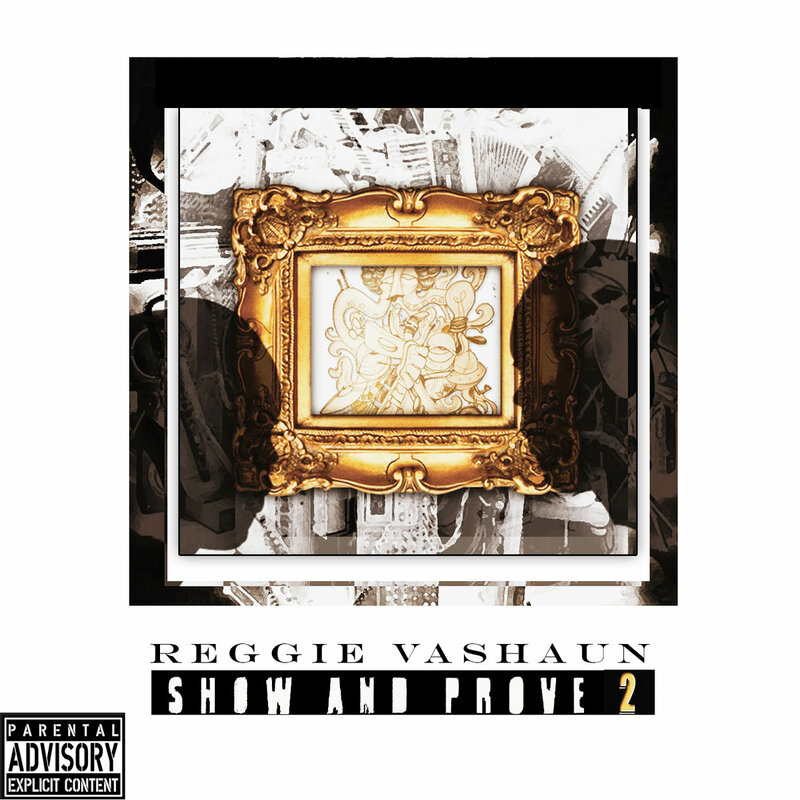 With his new project "Show And Prove 2" he made sure the beats and his lyrics were more cohesive this time around. You can hear the passion and dedication he put into his Bars as well. If Reggie keep pushing himself with every new Cd he is bound to be one of the greats. Just download his FREE LP below it's real dope. Fast Enough encompasses the overall feeling of Dark Matter as a project overall, an exploration of sounds and styles within HipHop with a down-tempo eerie, yet darker tone. New Life is usually known for producing positive and uplifting music similar to their first EP release, "A New Beginning" but on Dark Matter, it appears they have choose to embrace "The Dark Side" of the force. Newcomer artist Leigh (Lay) from Long Beach, CA just dropped a quit 16 on this track and I must say its kinda fly. The tone is smoothed out enough for the ladies to groove to and the lyrics are dope enough to hold the attention of those Real HipHop Heads. I can't wait to see some visuals from Leigh soon hopefully, in the mean time you gotta check this brotha out he's got skills and not too bad on the eyes...ladies. It's been just over 2 years since the passing of legendary recording artist Jimmy Castor. To mark this occasion, Blunted Astronaut and DJ Doom are proud to present a very special tribute to one of the most important B-Boy anthems of all time - the 1970 funk masterpiece "It's Just Begun". Hailing from Brooklyn, NYC, Doom has been immersed in HipHop culture since the days of his youth in the early 1980's. Graffiti writer, B-Boy, DJ, producer, there's not a lot the man hasn't done! On this third BA release, he teams up with Nutso for a truly unique project, revisiting a timeless classic that carries forward the musical legacy of the late, great, Jimmy Castor for years to come. His trusty SP1200 is once again put to work, and with guest appearances by Large Professor, Tony Touch and El Da Sensei (The Artifacts) this limited 7” is guaranteed to be another Blunted Astronaut sure shot. It's also worth noting that the label artwork (by Mr. Krum) is inspired by the layout and typesetting of the U.S. 45 on Kinetic the much treasured 'original' version. This is not for the average HipHop fan but the Go Hard type of person who really know and respect foundation. Checkout the mix below it truly represents HipHop in it's birth years. Written by Nutso, Large Professor, Tony Touch & El Da Sensei. Cuts/Scratches by DJ Tha Boss. Tate Kobang joint Everything Black featuring Matic808. These young dudes from my home town Baltimore go H.A.M. on this track basically saying I will do Anything for my family even if I have to "Body" you Ni$##@!..I feel YOU!! Being a B-more native myself I definitely understand this mentality. Baltimore ain't no joke, you either pull out or get pulled on. 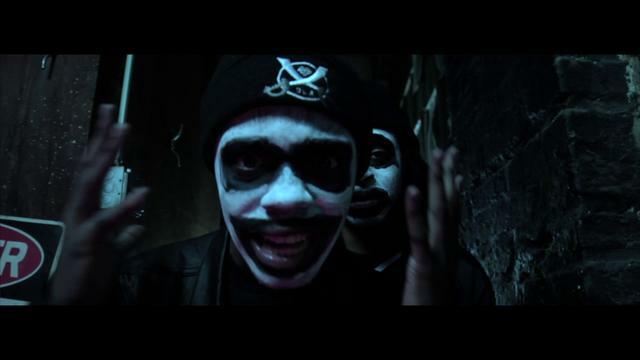 I really like the video concept very creative, not to mention paying homage to Dead Presidents one of my favorite movies. Checkout the video below and let me know what ya'll think. New Jersey native turned Harlem Emcee Kyle Rapps forms Voltron with the man himself Action Bronson for his new release Get It In. 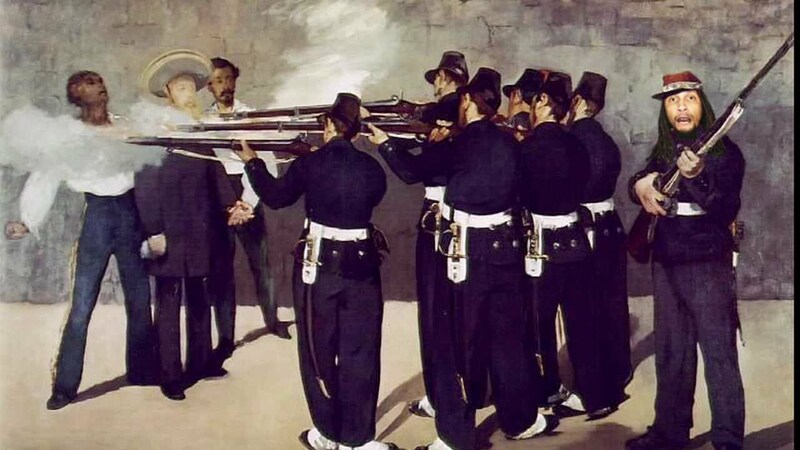 The video has a very unique concept, they put together some of the most famous classic and contemporary paintings from Mona Lisa to Muhammed Ali all in-conjunction with HipHop. You have to just see it for yourself, very creative check it out below it goes hard!!! Twenty-year-old South London newcomer Arlissa will release her debut single, ‘Sticks & Stones’, on March 3 (London Records). This follows a breakthrough end to 2012, with Arlissa securing a place on the BBC’s prestigious Sound of 2013 list (also featuring the likes of Haim, AlunaGeorge, and Laura Mvula). ‘Sticks & Stones’ was also first performed on Top of the Pops’ New Year’s Special; the first time the flagship programme has tipped a brand new artist, with additional support already coming from the likes of Zane Lowe, Huw Stephens, Fearne Cotton, Mistajam, Trevor Nelson and Jo Whiley. Not just another pretty face it appears she's a true artist and plans to stay that way. She had an opportunity to sign on with a all girl group but turned it down because of the cliche' they were betraying. Since her feature with Nas Arlissa has signed a management deal between Roc Nation and Three Six Zero, or the team behind everyone from Rita Ora to Calvin Harris and Hurts. She's a pretty talented young diva check her out below. For those who aren't aware The Movement Fam a HipHop conglomerate from Melbourne, Australia, doin' their independent thing while living in Toronto. 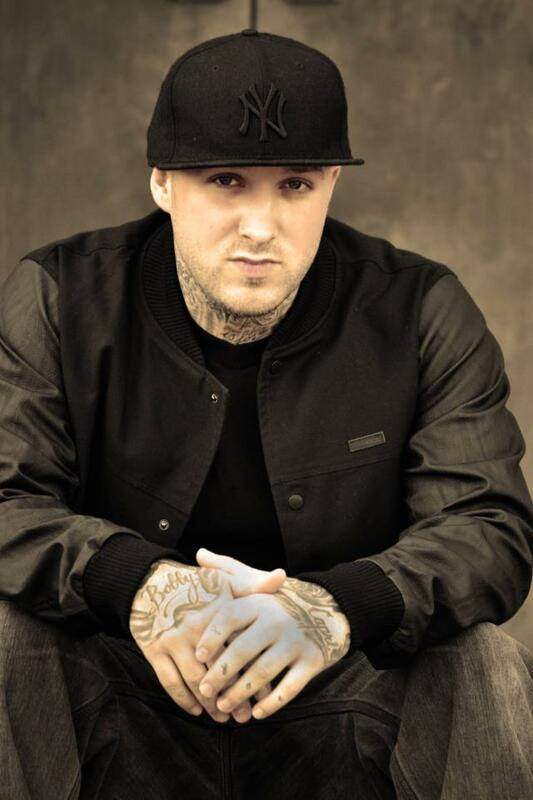 Notion Emcees & produces while his counterpart Cee who also Emcees as well and handles the business side. They just released visuals to Notion's So Cold track, which dropped January of 2012. The video was filmed by Andrew Pierce, Notion got his peps together to help out as well Eric, Ian, Jessie, Shauna and his lady Tiffany. The only reason I brought this up is because it shows when a group of individuals work together their is nothing you can't achieve. Lyrically I think Notion is on his way to greatness doing his thing since 2008 I'm glad to see he is staying true to himself while making good music. Checkout the finish product below. MF Doom is one of the most underrated Emcees in the world, but not here at UnsungHipHop we recognize his lyrical genius. With this release Doom had some things he wanted to say, "A bunch of UK Emcees take their turn to show their skills over MF DOOM's 'Special Herbs' instrumentals, big shout outs to JustGot and everyone involved in helping us put this project together!" If your a real fan of HipHop you will appreciate this album, you can purchase this Cd Here for only $7.00, com'on you can't beat that..!! HipHop artist, Leon Marin decides to release a free verse titled, "The Dark Knight" with the cover gracing three of Batman's arch nemesis' in an analogy to exert his desire for competition. There's a lot of rappers that have made claims that they're "the best" and Leon wants to be one of the rappers consistently mentioned in that category. You'll notice he says some familiar names in the song as well. Disclaimer: This free verse didn't diss Scott Morris, Kola Rai, Dave Al, Venor, or She Real. Sidebar, this rap. This is competition, which is the Roots of HipHop nothing wrong with that. Kendrick Lamar made it clear in his control verse. Bobby Capri released behind the scenes footage of his new single Tunnel Vision featuring Sean Price off of his up and coming album called InstantGratification. And from the sound of this teaser its going to be dope, I mean real underground HipHop dope. If you are a fan of Sean P. you know he don't be on no Bull S#@!, if he's featuring on your joint its because he respects you as a artist. Sean P. don't just show up for dough he has a image to uphold and I don't blame him. I'm starting to like this new kid Bobby Capri it appears he as surrounded himself around so real heavy hitters in the game. Check out the behind the scenes video below. Ab-Soul, released Control System in May of 2012 and the album was lauded as one of the strongest projects from Top Dawg Entertainment and the Black Hippy crew, which includes Jay Rock, ScHoolboy Q and Kendrick Lamar. One of the many strong cuts from the album “ILLuminate” featuring hip hop’s man of the moment and fellow Black Hippy member Kendrick Lamar receives the visual treatment courtesy of directors Fredo Tovar and Scott Fleishman. I really wasn't feeling Ab-Soul when he first hit the scene but then I realize this dude has bars. I guess I was comparing him too much to Kendrick who has bars for days he's a freakin prodigy in the game. This is one of my favorite cuts off the album I'm glad they chose this cut to make a video for. Check it out below.